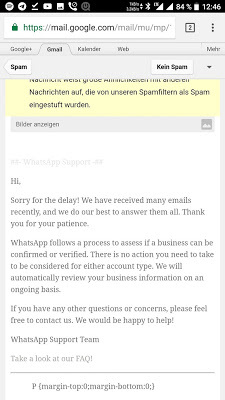 How Can I Get WhatsApp Business Verification Badge? 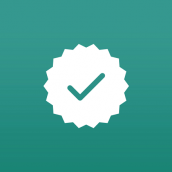 HomeWhatsappHow Can I Get WhatsApp Business Verification Badge? Few weeks ago whatsapp introduced The WhatsApp business for all country which I believe that the entrepreneurs among us are already enjoying the benefits of it as it makes your communication with customers easier by separating your normal account from business account. Most persons are asking how to get the verified business badge. Is it possible to get the verified business badge? Or what can you do to get the verified business badge? NB: There's a restriction in WhatsApp business verification is currently limited to a small number of businesses participating in a pilot program. 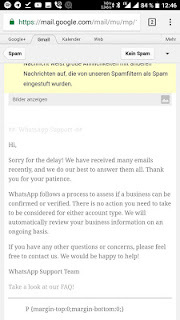 From the reply above, you can see that you don’t need to do anything but whatsapp automatically check your business and dim it qualified for verification once they are done with internal checks. Kindly let us know your experiences so far with the WhatsApp business app via the comment box.